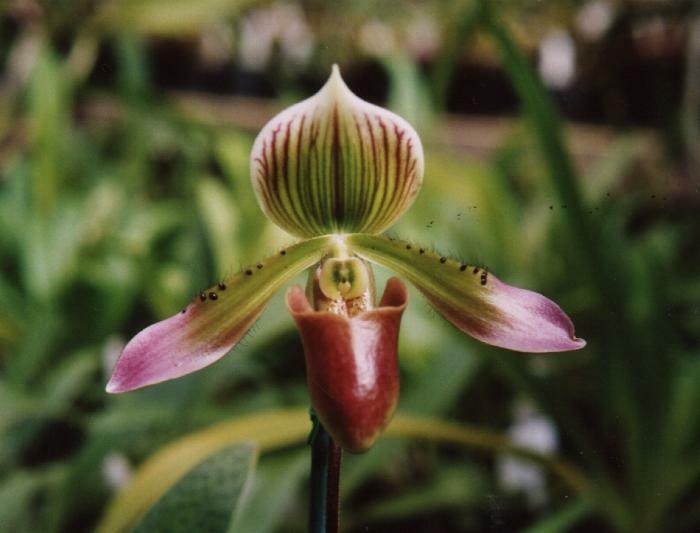 Paphiopedilum x siamensis (Rolfe) Rolfe 1896 Photo courtesy of Patricia Harding. Found in Thailand as a hot to cool growing terrestrial that blooms in the spring o an erect, terminal, single flowered inflorescence. This orchid is a natural hybrid between P appletonianum and P callosum.